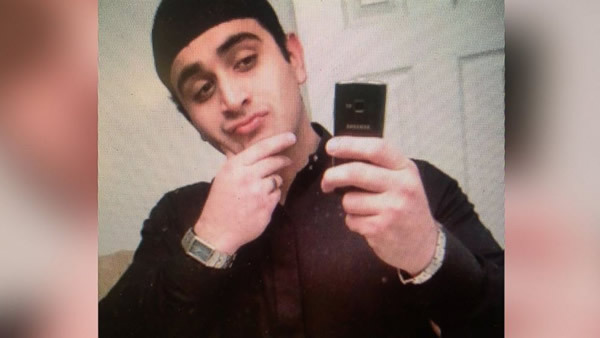 ORLANDO, Fla. -- Omar Mateen called 911 to pledge his allegiance to ISIS after the shooting at an Orlando nightclub began, two separate law enforcement officials confirm to ABC News. Some law enforcement sources had previously characterized Mateen as having sympathy for, or ties to Islamic terrorism. Multiple law enforcement sources tell ABC News, Mateen was a U.S. born citizen who lived in St Lucie County, Florida. Mateen's parents were born in Afghanistan, officials said. He was born in New York City, but officials said there is no evidence he has been here recently. His father said he is "in shock like the whole country." He says he wasn't aware of anything his son might have been planning. Mir Seddique told NBC News that his son got angry when he saw two men kissing in Miami a couple of months ago and thinks that may be related to the shooting. He says it has nothing to do with religion. Mateen took hostages and opened fire inside a crowded gay nightclub in Orlando, Florida, early Sunday morning, killing 50 people and wounding 53 others before SWAT officers killed him, authorities said. Police Chief John Mina said Mateenhad an assault-style rifle, a handgun and a "suspicious device" with him during the attack.